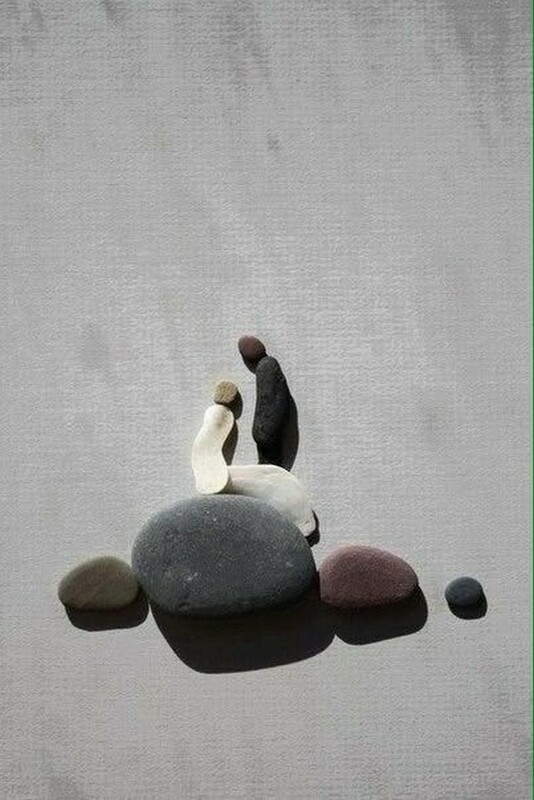 If we talk specifically about the art, I think it has got no boundaries nor it could be measured. It is limitless and its definition varies from man to man and person to person. 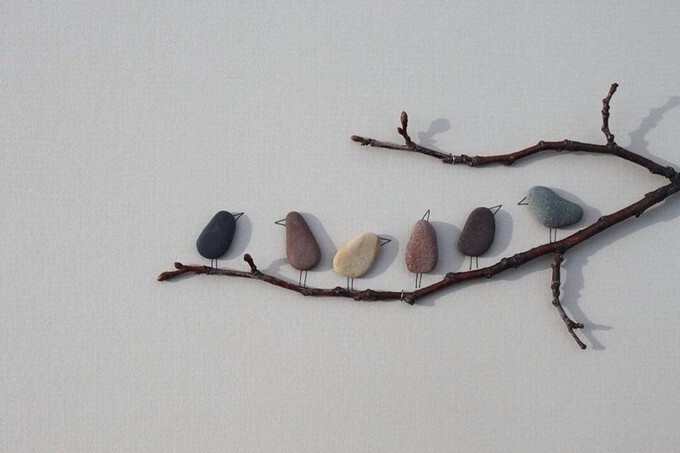 It doesn’t need some expensive materials to be used in making a good piece of art. 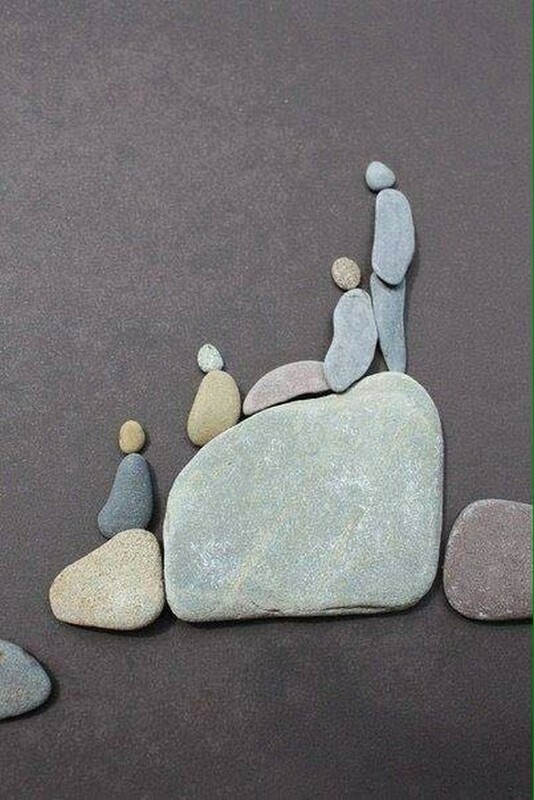 And this quality is going to be demonstrated here as we are going to use some plain round stones in making different caricatures that is named as the pebble art. 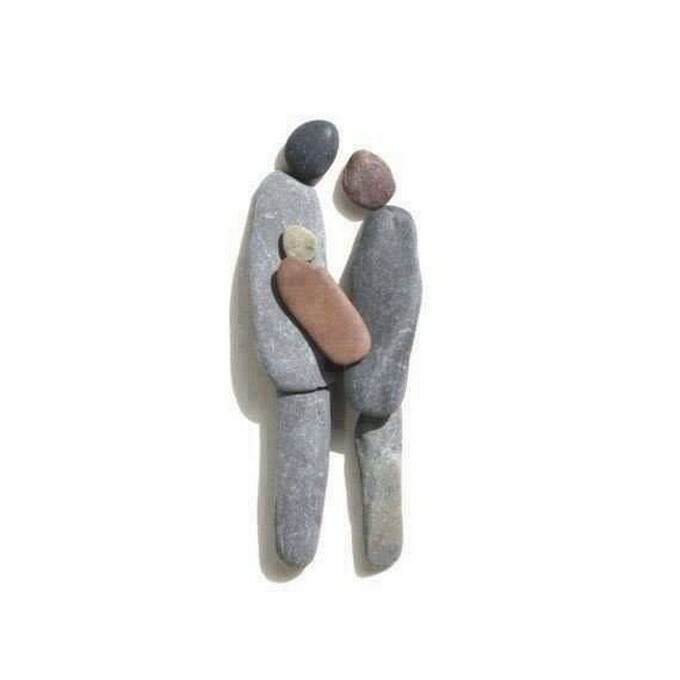 And you guys would see that how mere stones are turned into some really adorable sculptures and caricatures that are remarkably great. If you have got a truly artistic heart that can feel the essence or the theme of the art that is being presented. 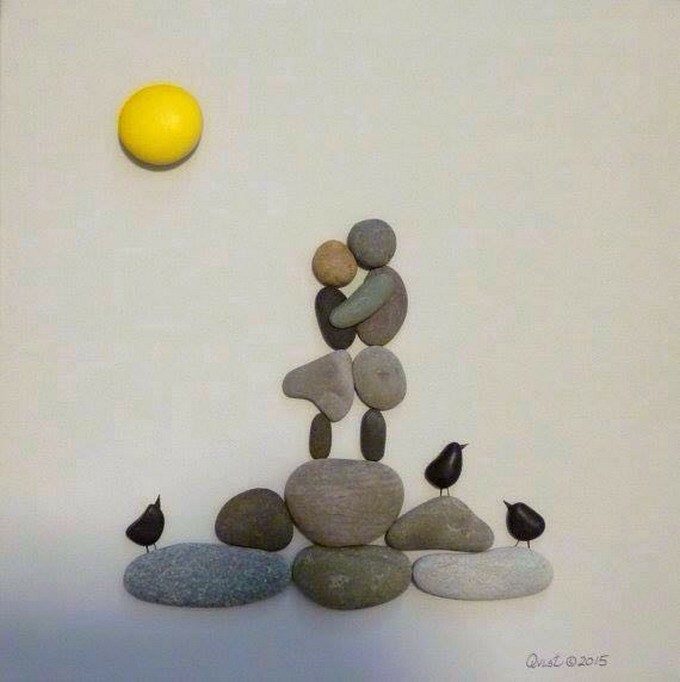 Like here the creator has tried to draw a sketch where a loving couple is making out in some pretty natural atmosphere with birds all around making sounds of love. 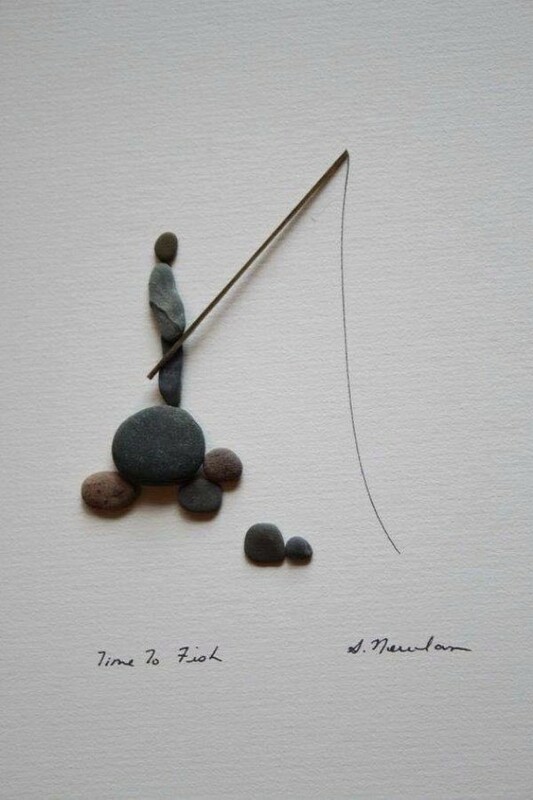 Did you ever go fishing? Well, I used to go in my childhood. Here the artist has depicted a calm atmosphere where a fisherman is waiting for his prey very calmly probably looking at the silent water meanwhile thinking about random affairs being lost in fishing. Wow, a whole happy family is shown here. The children are lined up in a queue along with their parents. Seems like they are on vacation and wandering in some high hilly area making some best use out of their free time. The father is standing behind like a protective wall. Here we see a pet dog probably playing with his master. They are roaming inside their green landscape and the animal is being tamed well with the ball. 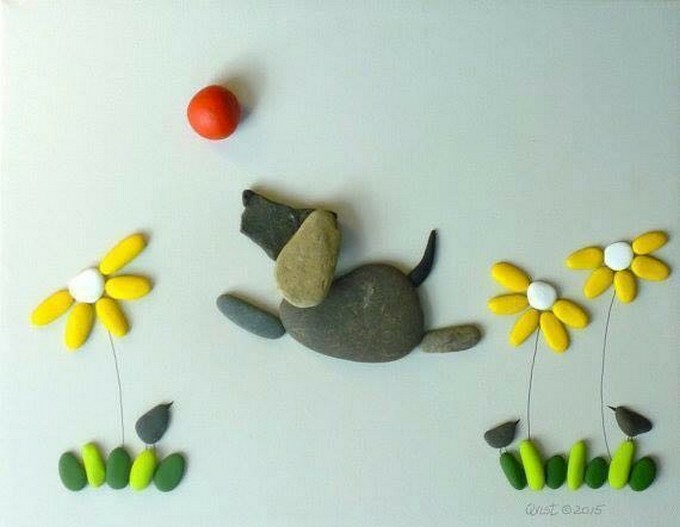 All around the garden there are flower bearing plants that give a lively impression in this pebble art caricature. 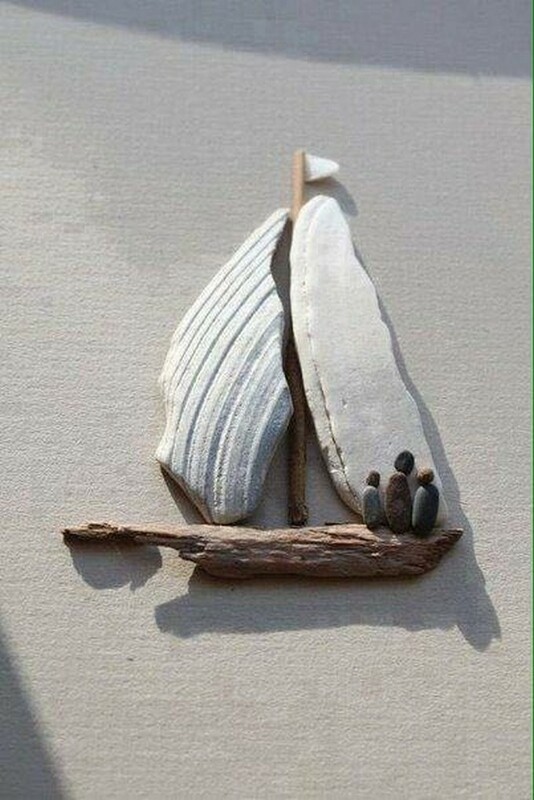 If we talk about the beginning of boat, it probably dates back to the pre historic time even when the man was in stone age and was in the process of evolution. So this has got a strange association with the human beings and mankind. Same is depicted here in this project. Wow, honestly speaking this one is beyond my comprehension. 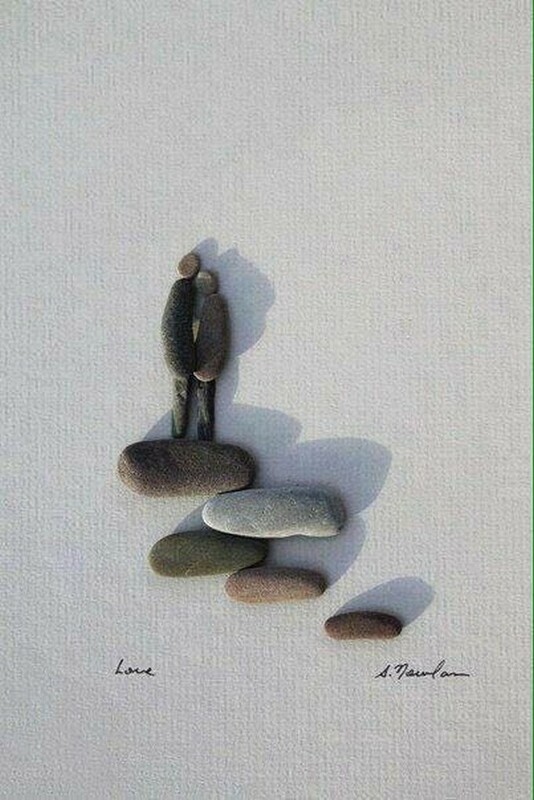 Actually I can draw many themes out of this pebble art idea, but as we said earlier that the meaning of art varies from man to man. so there are chances that my interpretation could be entirely different than that of yours. And here we see that as if this couple has walked all those miles together and now they are assuring to stay together rest of life. 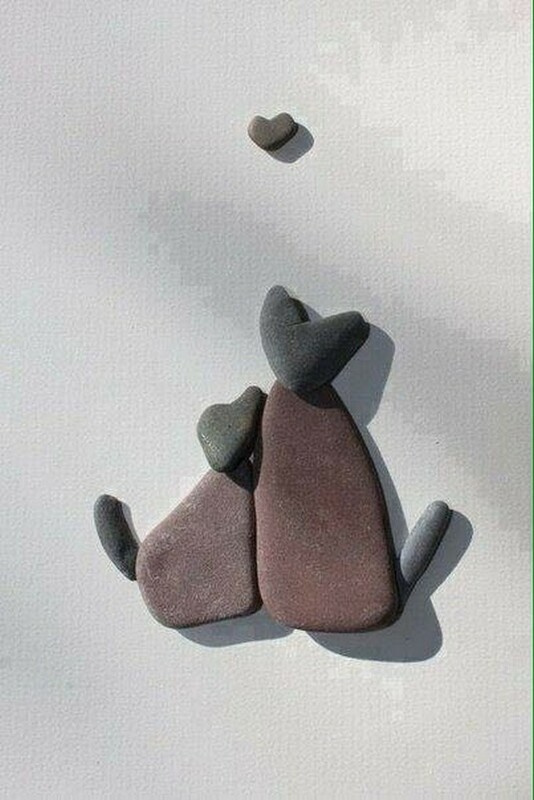 Stones are not cut or shaped but we simply figured out that which one should be used at the first place. These rats are probably craving for all those heavenly fruits hanging along the tree in bunches. 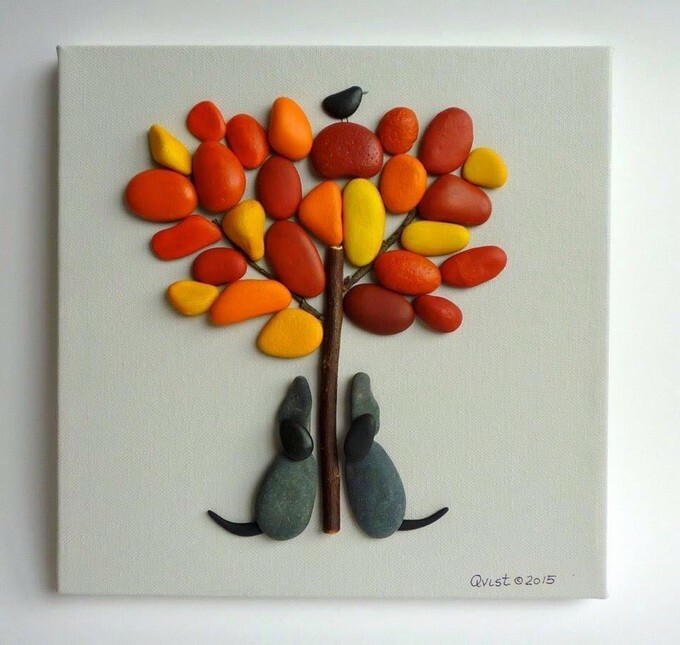 Here we used some wooden sticks from a branch of the tree, and the stones were also painted with some attractive shades. 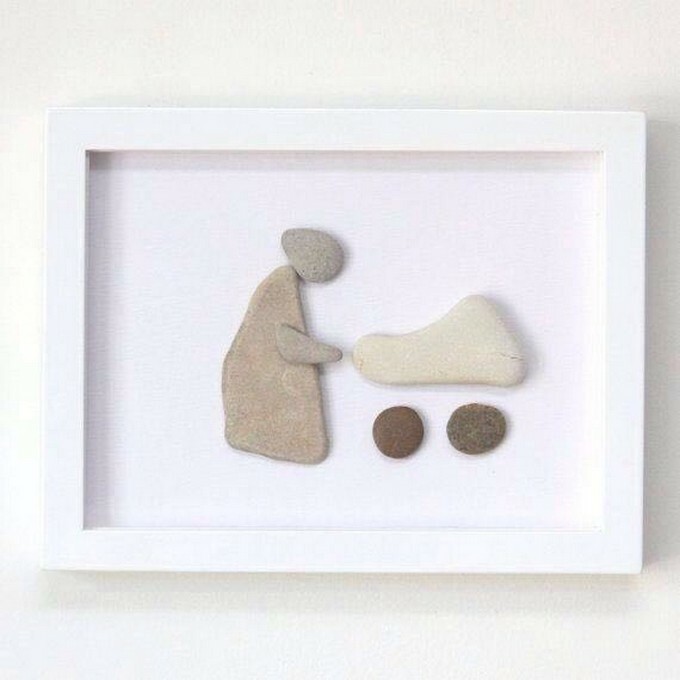 This pebble art could be one of the best additions on your walls so give them a try.